Like always around 'special holidays' Lush bring out limited edition products. 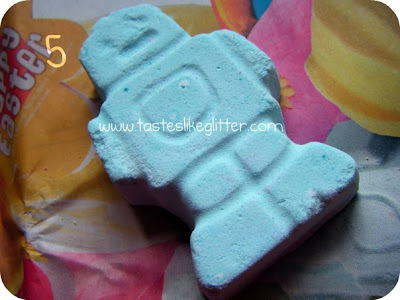 When I saw they were going a Snow Fairy scented Ballistic I knew I wanted it. I absolutely adore Snow Fairy! I was initially going to get one of those big eggs, since the entire outside casing is a Ballistic but I couldn't decide which one I wanted and didn't want both so skipped those and got the smaller things along with a few permanent things. 1 - Happy Chick Ballistic. 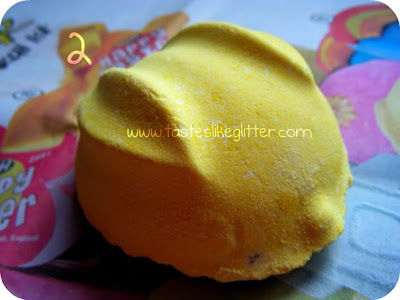 2 - Honey Bun Ballistic. 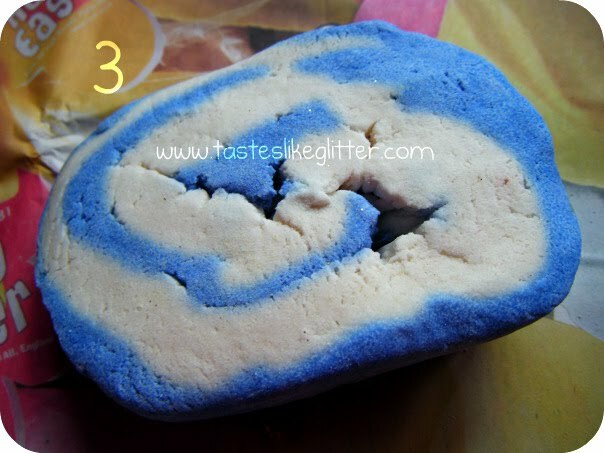 3 - Blue Skies And Fluffy White Clouds Bubble Bar. 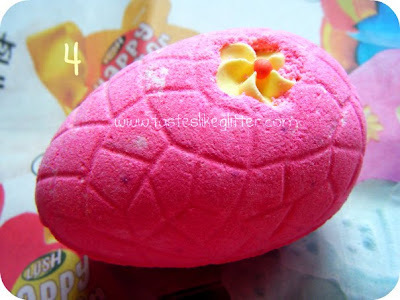 4 - Fluffy Egg Ballistic. 5 - Ickle Baby Bot Ballistic. 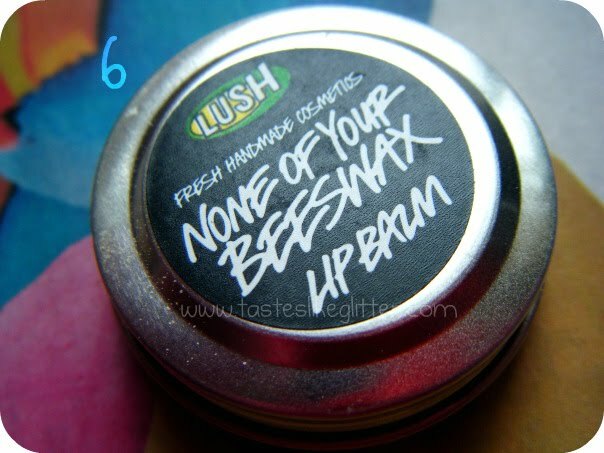 6 - None Of Your Beeswax Lip Balm. 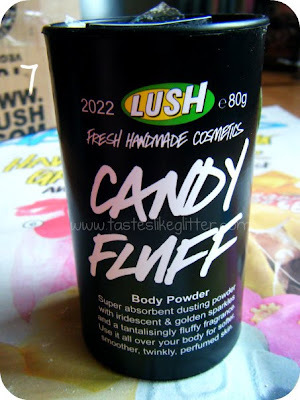 7 - Candy Fluff Body Powder. 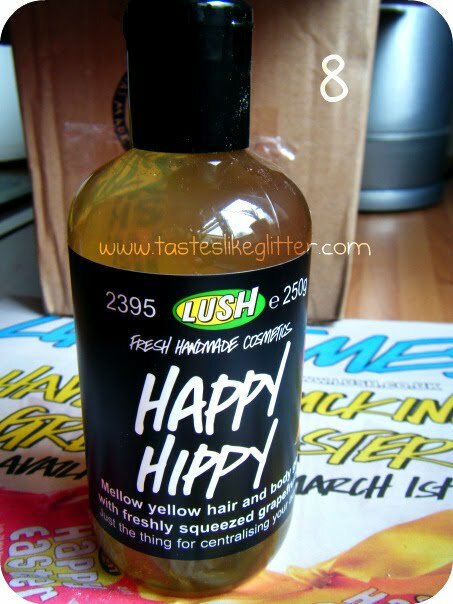 8 - Happy Hippy Shower Gel - 250g. 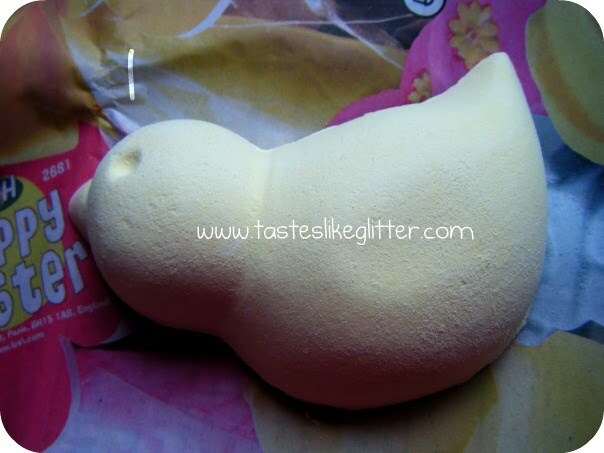 Has anyone else got any of the Easter products? Do you like them? I don't know if I will review this as I certainly won't get round to using them and posting them up before Easter but if anyone wants something specifically, I shall do it! 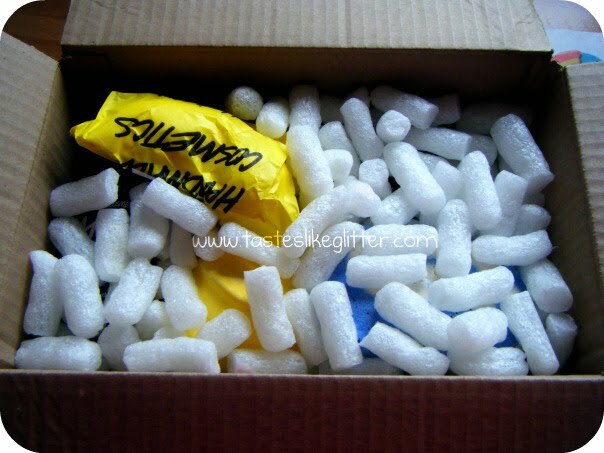 :D If you ask nicely.